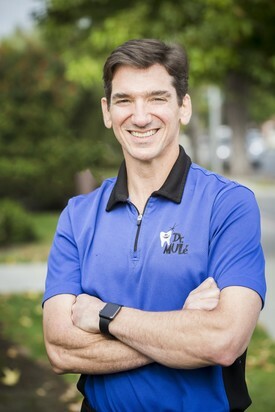 Dr. Christopher Mulé was born and raised on the Monterey Peninsula. He is the 1992 valedictorian of Palma High School in Salinas and a 1996 graduate of Santa Clara University. After graduating with honors in Chemistry from Santa Clara he went into the dentistry program at Northwestern University in Chicago, Illinois, where he graduated in 2000. Before returning to Salinas in 2001, he completed the Advanced Education in General Dentistry Program at University of California, San Francisco. In 2004, Dr. Mulé joined Dr. Max Banner's practice as an associate dentist. In 2006 the two doctors switched roles when Dr. Mulé purchased the practice and Dr. Banner took on the role of associate. This arrangement remained until Dr. Banner retired in 2008 after 42 years of practicing dentistry. Dr. Mulé is passionate about dentistry and truly enjoys what he does. He strongly believes in the Golden Rule -- treat others as you would like to be treated. His goal is to help patients reach their dental goals through education and quality dentistry. Dr. Mulé loves the Salinas Valley and it's surrounding communities. He annually participates in the Salinas Relay for Life event for the American Cancer Society. He also donates his time and services every February for Christina Smile - a volunteer dental program to help underprivileged local children receive needed dental care. He is a member of the American Dental Association, the California Dental Association, and The Monterey Bay Dental Society. In his spare time he enjoys playing golf, attending church, running, watching movies and local sporting events, and spending time with his family.